There are some recipes that I just look at and think, I'll never make that. It involves more than 10 pans for one recipe, it contains (a) chemicals or (b) purchased cake mix, or it contains way too many weird organ meats for my taste. Luckily, that's why I have Paul around. Because Paul is willing to take some of those leaps I won't take, and he comes up with delicious recipes like these. And indeed, it is. I have to say, when Paul was making this, I was mostly trepidatious because I am a petite person, and large quantities of pork fat do not sit well with my stomach. But in addition to be totally addictively delicious, this recipe was also shockingly light. 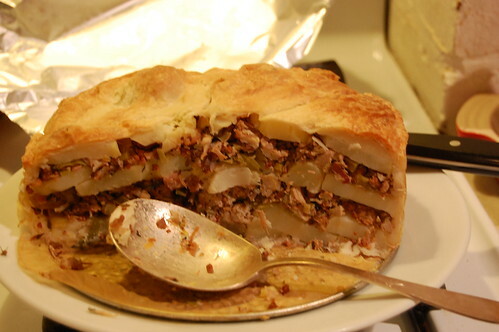 Well, you know, as light as anything wrapped in puff pastry and filled with potatoes and pork can be. 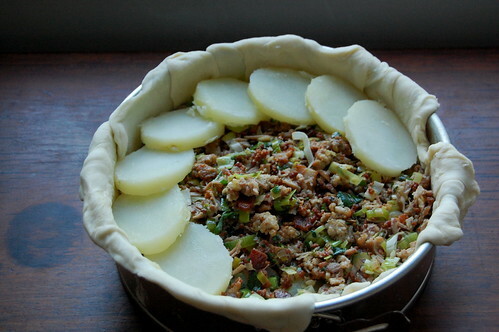 But in all seriousness, the leeks in the pork mixture plus the acid of mustard and vinegar really lighten the pork, and the pastry and potatoes add a starchy balance to the meat. This would make an excellent special dinner with a green salad alongside. 2. 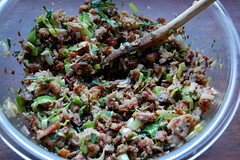 Remove pork from the oven, and if there is still skin on the belly, peel it off at this point. 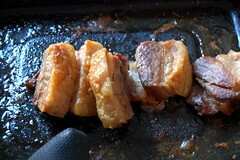 Raise the oven temperature to 450F, remove the foil from the pan, and cook the pork another 20 minutes uncovered, until the fat on top is nicely crispy. Discard juices and set aside to cool. So, geniuses, who really thought this one up? 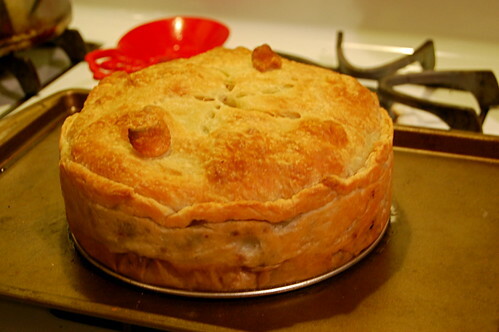 This reminds me of English pork Pies for some reason although the crust is totally different for a start. But yum!